On 4th October Google will be holding an event, where it will unveil its two latest Smartphone, which may not be released under the Nexus brand. These two Smartphones are expected to be built by HTC – a 5-inch and a 5.5-inch model and rumored to be called Pixel X and Pixel XL. 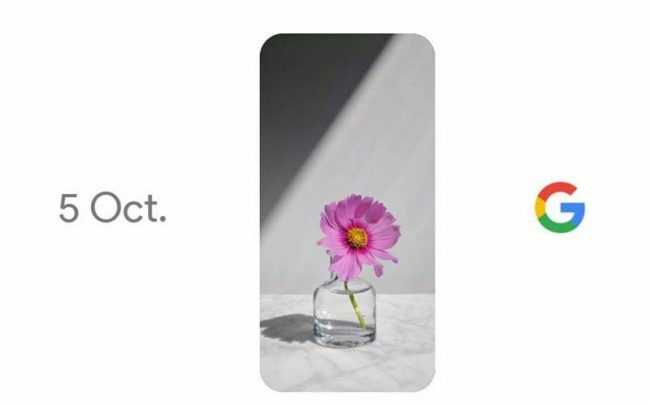 The Google uploaded a short video to YouTube that shows the releasing date of smartphones, as well as a rectangle in the shape of a smartphone and include the Google “G” logo. Unfortunately, the video doesn’t reveal more information about the upcoming smartphones that’s why It’s still unclear what kind of specs these new Google branded devices will have, but it has confirmed that Google will expose their plans to the market. Last year the Nexus 6P was metal and the 5.2-inch LG 5X was plastic, but upcoming Smartphones of Google may even feature an all metal design. A report from Android Central corroborates the dropping of the Nexus branding, and says that Google will ship the device with a special version of Android Nougat, instead of going with a stock version of the operating system like usual. Images are leaked of the Google pixel that shows the camera sensor appears at the top left-hand side of the device. Speaker, light sensor and camera all appeared in the same place on the front of the device. Pixel Smartphones are rumored to be carrying 4GB of RAM. Well, it is possible to see a Smartphone similar to previous leaked images and hopefully on October 4th we’ll hear about Pixel phones.